Helen Sawyer was born in 1905 at Lowell, Massachusetts. In 1922, she enrolled at Mount Holyoke College in South Hadley, Massachusetts, and obtained her bachelor’s degree in 1926. She then received her master’s degree in 1928 and her doctoral degree in 1931, both from Radcliffe College in Cambridge, Massachusetts. Her research topic was the study of variable starts in globular clusters, and she would work on this type of star for the rest of her life. In 1930, she married Frank Hogg, a young Canadian and fellow astronomy student. In 1931, they moved to Canada where Frank accepted a post at the Dominion Astrophysical Observatory in Victoria, British Columbia. Unfortunately, the depression had hit and Helen was unable to find work. 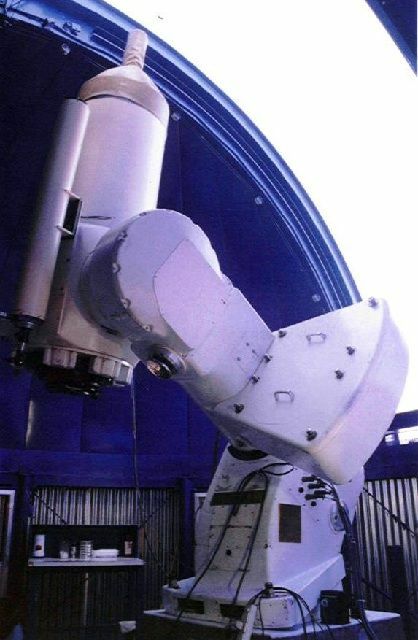 She nonetheless obtained permission to use the observatory’s telescope and was able to pursue her study of globular masses on a volunteer basis. In 1935, Helen and Frank relocated to Ontario where Frank took a professorship with the astronomy department at the University of Toronto. Helen pursued her observations of globular clusters at the David Dunlap Observatory, and she was hired as a research officer in the astronomy department in 1936. 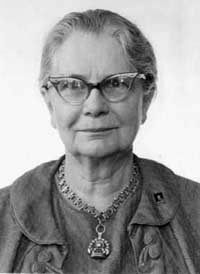 In 1939, she published the first edition of the Catalogue of Variable Stars in Globular Clusters (two other editions were published in 1955 and 1973). Two years later, in 1941, she started teaching at the astronomy department of the University of Toronto. In 1946, Helen’s husband Frank became Director of the David Dunlap Observatory, a position he would occupy until his death in 1951. When Frank passed away, Helen found solace by writing a weekly column for the Toronto Star titled With the Stars, a task she would continue for the next thirty years and for which she is well remembered. In 1957, Hogg became adjunct full professor in the astronomy department of the University of Toronto. She continued her work on variable stars, which numbered more than 2,000 by the end of her career. The parameters she measured during her research provided a basis for estimating the age of our galaxy and for improving our understanding of its evolution. In 1970, Hogg hosted her own television show on astronomy. In 1971, she founded the Astronomical Society of Canada and became its first president. She retired in 1976, was named Professor Emeritus, and wrote a popular guide to astronomy titled The Stars Belong to Everyone. Helen Sawyer Hogg died in Toronto at the age of 92. She had received numerous distinctions for her work in astronomy and for her efforts to popularize the science, including the Order of Canada. Asteroid 2917 was named in her honour. In 1985, the Royal Astronomical Society of Canada and the Astronomical Society of Canada created the Helen Sawyer Hogg Public Lecture. The lecture, given each year by an invited speaker during the annual meeting of the two societies, commemorates her contributions to public appreciation of the universe. The Canadian National Museum of Science and Technology's observatory in Ottawa is named for her.